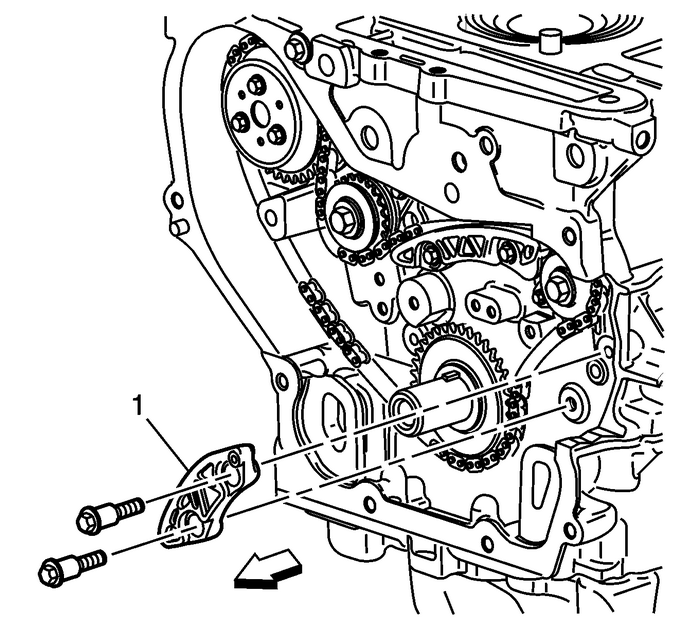 Note:If the balance shafts are not properly timed to the engine,the engine may vibrate and make noise. 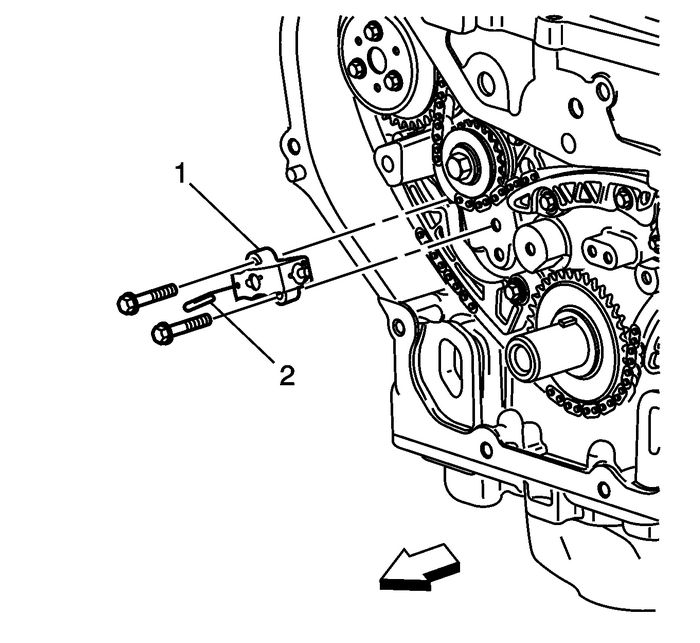 Install the upper balance shaft chain guide-(1)and bolts and tighten to12-Y-(106-lb-in). Install the small balance shaft chainguide-(1).Install the balance shaft chain guide bolts and tighten to12-Y-(106-lb-in). 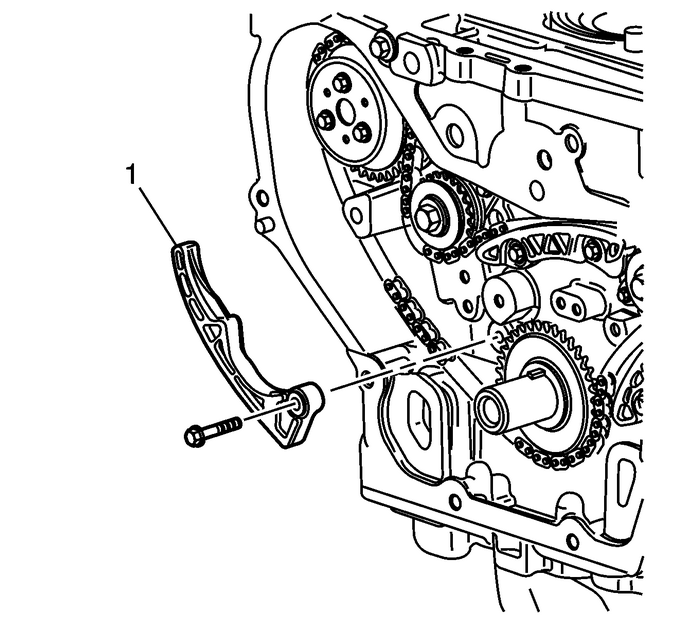 Install the adjustable balance shaft drive chainguide-(1).Install the adjustable balance shaft drive chain guide boltsand tighten to10-Y-(89-lb-in). 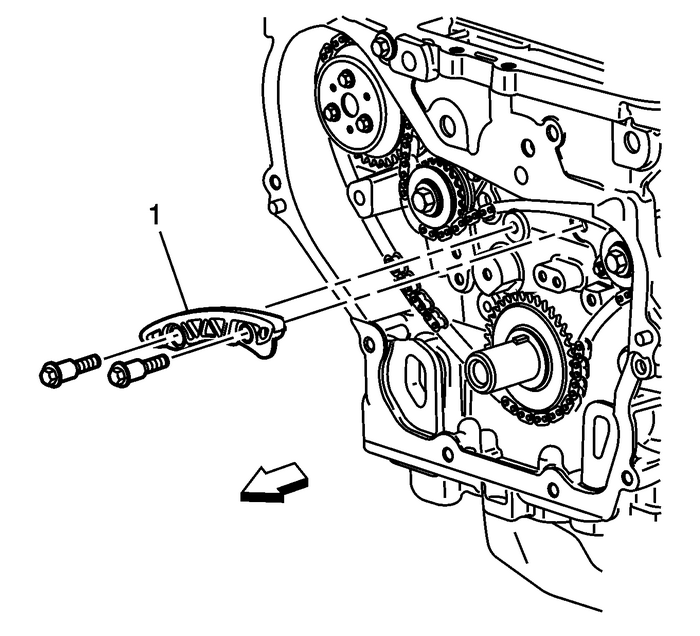 Reset the timing chain tensioner-(1) by performingthe following steps:Turn the tensioner plunger 90-degrees in its boreand compress the plunger.Turn the tensioner back to the original 12-o'clockposition and insert a paper clip through the hole in the plungerbody and into the hole in the tensioner plunger.Install the timing chain tensioner.Install the chain tensioner bolts and tighten to10-Y-(89-lb-in).Remove the paper clip from the balance shaft drive chaintensioner.